It’s all but impossible for money not to enter into an equation around gift giving. The problem is, once money enters into the thought process, it complicates everything. For the most part, the people you give a gift to will not care one iota about the cost of the present. You can find under $10 ideas, DIY presents, or you can go all out for an extravagant Christmas they would never forget. The truth is, the amount is irrelevant. Savvy shoppers know how to find great deals, discounts and coupons while creative gift givers can whip up a clever present on any budget. Either way, don’t the financial impact be the main focus. If your best friend loves warm and fuzzy socks, then they will love a pair that costs $4 as much as a $45 pair, we promise! Okay, so research continues to show that we (as in humans) will appreciate and remember an experience way more than some stuff. Turns out, we prefer to try and discover new things more than we like fancy phones and shoes. This also ties in nicely with point #1, as movie tickets can cost as low as $5 (if you select off times). Consider what hobbies, passions, or pampering you could contribute to with your gift. Got a tennis lover? Give a gift of a can of tennis balls with a court reservation set already. Does your sister love art? Local museum tickets are usually well-priced and well worth it. The possibilities are endless, as long as you are tailoring the experience to your recipient, and they will forever treasure the thought that went in to planning it. By special, we mean wrap it beautifully and include a handwritten note! It is just that easy. Even a gift bag is okay, but make it a spectacular event to even open the present. After all, a gift is a symbol that the person receiving it is important to you in some way. Why not take the time to make the presentation worthy too? There is something really special about opening up a beautifully wrapped gift. As for the note, even the most reticent among us can scratch out a few lines of appreciation for those we care about in our lives. Add a quick sentence or two about why this person is important and why you chose the gift you did. 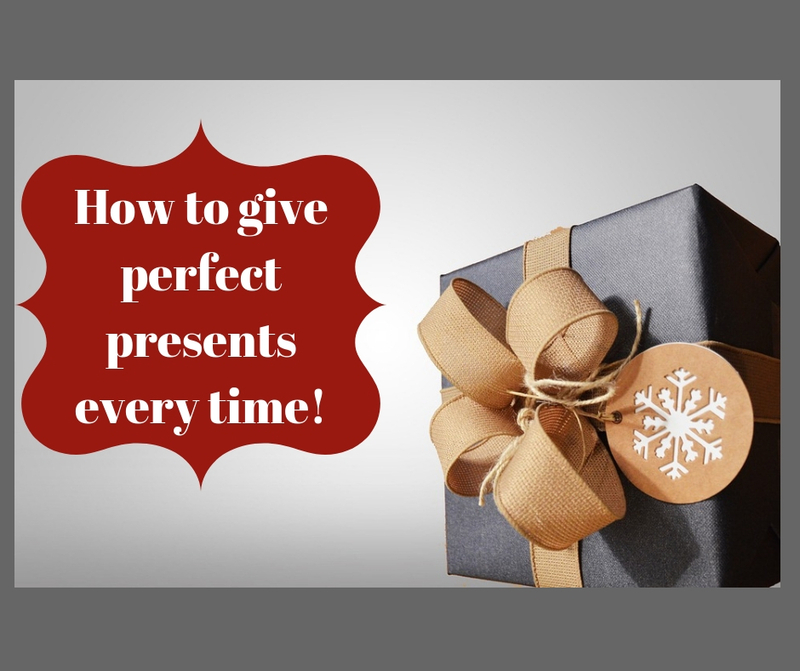 We tend to overthink our gift giving, making it a much more complicated and stressful process than it needs to be. This year, skip the anxiety and focus on these three simple tips and see how how easy it is to perfect the gift giving process. This page was last updated on April 20th, 2019 at 11:25 (PST) and took 0.00s to process.